Launched in 2015, and inspired by Ralph Lauren’s own 1938 Bugatti Type 57SC Atlantic Coupe, the Ralph Lauren Automotive Skeleton is the flagship of the collection and the company’s first open-worked timepiece. Automotive details extend throughout the timepiece, from the amboyna burl wood bezel to the black alligator strap that is reminiscent of the rich interior of Mr. Lauren’s Bugatti. Even the Arabic numerals emulate those found on the car’s iconic gauges. Prominently located at 12 o’clock is a matte black galvanized subdial, with an azurage pattern with a luminescent RL logo, stamped on top. At six o’clock is a decentralized seconds subdial with white Arabic numerals and an azurage pattern. 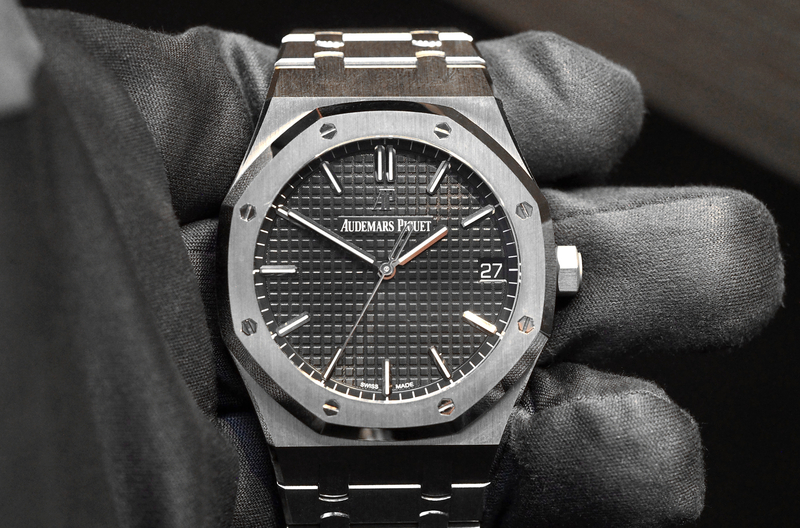 Hours and minutes are indicated by matte black oxidized sword-shaped hands, which are coated with a beige luminescent treatment for increased low-light visibility. Underneath the dial, the movement components are visible, including the mainspring, and gold colored wheels, free-sprung balance wheel, hairspring, and cap jewel that holds the balance pivot in place. Unlike most Swiss watches in this price range, the components do not have beveled and polished edges, which is maybe due to having a fully blacked out movement. It would have been nice to see additional finishing at this price point, though. Crafted in black gunmetal steel, the RL Automotive Skeleton’s shot-blasted case has a matte satin finish. Topping the case is an exquisite bezel that is made of Amboyna wood, hand-cut and finished by an expert craftsman to reveal the intricate patterns and depth of color in its rich, twisted grain. The “bombé”-shaped bezel is hand set with six functioning screws. The Automotive Skeleton achieves good wearability at 45 mm in diameter x 11.5 mm thick, although I personally think a little less diameter would be even more attractive. Although, it is all relative to the wearer. And besides, the length, which is 55 mm, is probably more of an indicator of comfort and proportion than diameter anyways. The interhorn lug width is 24 mm. Weight is 95.9 grams. Faux screw caps on the outside of the lugs look good and mesh with the overall theme, however, they are non-functional, which is a design choice that is less than ideal. Real screwed straps are better in regards to both purity and functionality. 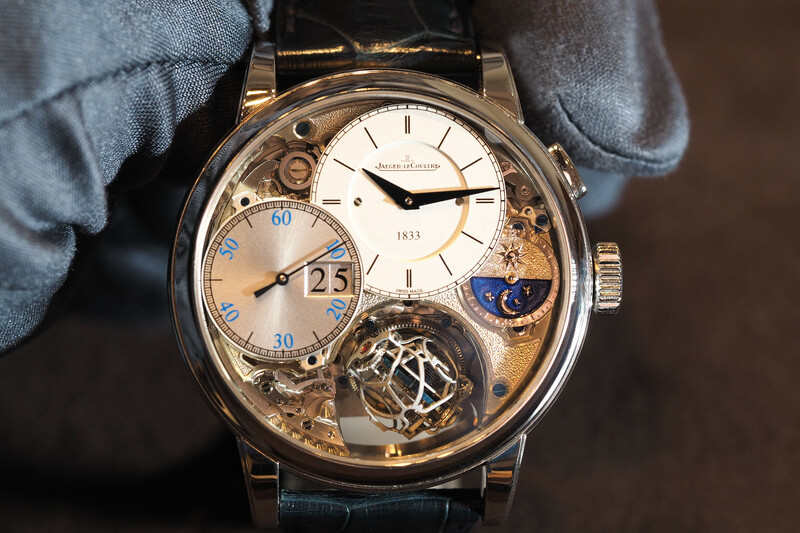 The caseback is sapphire, with six screws to secure it in place. A shiny black alligator leather strap, reminiscent of the rich interior of Ralph Lauren’s flagship Bugatti, complements the watch. Ralph Lauren’s entire collection is powered by Swiss mechanical movements that are supplied by Richemont, or outside movement makers such as Sellita. It is worth noting that the Richemont Group owns part of Ralph Lauren Watch Co., as part of a joint venture between the fashion label and luxury group. And accordingly, Richemont brands IWC, Jaeger-LeCoultre, and Piaget supply the movements for many of the Ralph Lauren timepieces. In this case, the Automotive Skeleton is powered by caliber RL1967, a renowned IWC hand-wound mechanical movement that has been customized by Val Fleurier for Ralph Lauren. 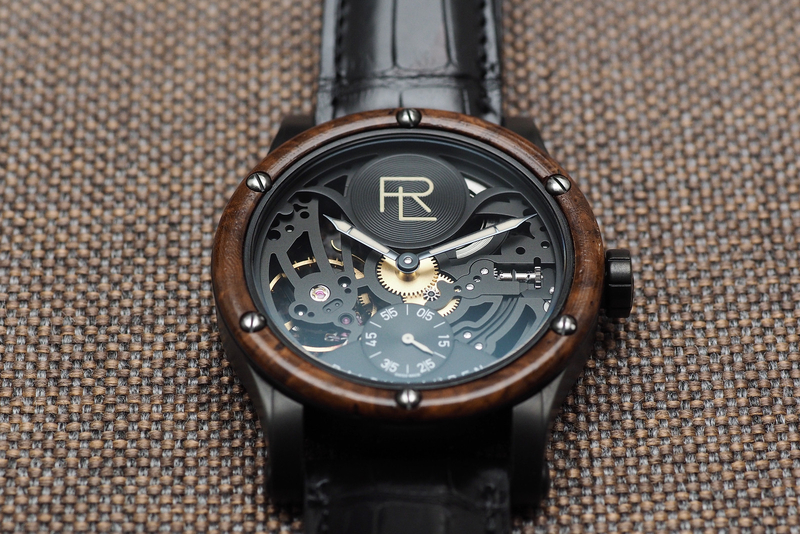 The bridges of the movement have been blackened to match the overall theme of the watch, and the main plate has been artfully cut away, to reveal the intricate mechanics underneath. The manually wound caliber RL1967 runs at a frequency of 2.5Hz (18,000 vph) and has a 45-hour power reserve, as well as a unique indicator evocative of a fuel gauge on the movement side. Overall, the movement is excellent, however, with no Geneva stripes, circular graining, or chamfered edges – purists will surely question the price point. Despite the lack of traditional embellishments, the aesthetic is still very pleasing. 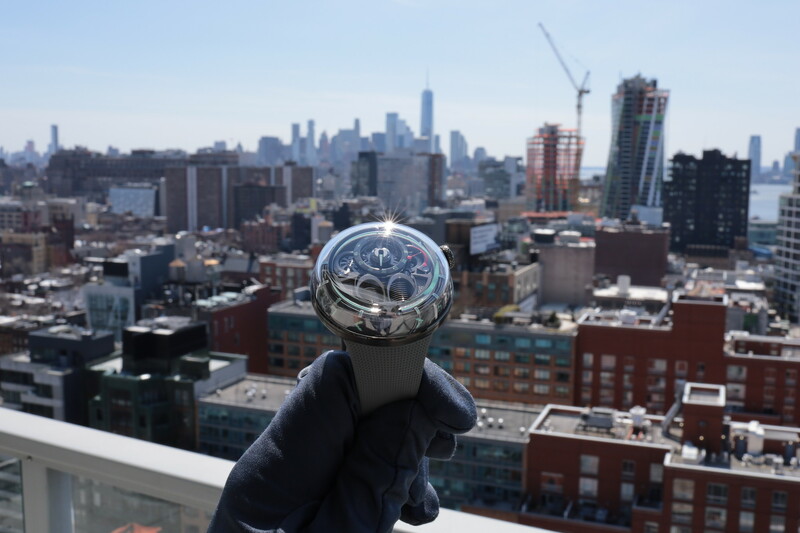 After wearing the Automotive Skeleton around New York City, and gauging people’s reaction to the watch in the flesh, and on the wrist, I can say it was very well received. Why? It is a highly distinctive timepiece the echoes the Ralph Lauren design codes. Moreover, the amboyna burl wood bezel, with its signature irregularities, is stunning. And the fact that it is powered by a renowned IWC hand-wound movement is further reason to take a look at this watch. The price, for a non-complicated watch, from really almost any watchmaker, is on the high side. But if you desire a unique piece that people will recognize and that nobody else will have, it is worth a look. The Ralph Lauren Automotive Skeleton timepiece is $50,000.